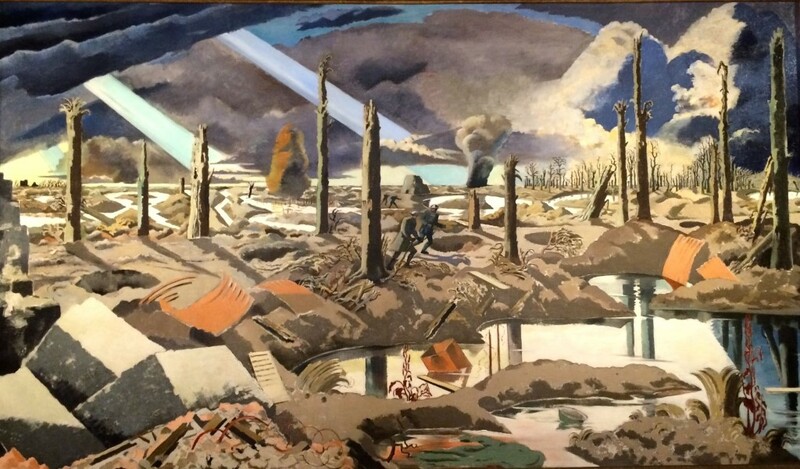 Surrealist art had its origins  on the Western Front of the First World War. Other types of art were also influenced by it. The historian W. Scott Poole  has persuasively argued  that many horror movies are the result of an artistic coming-to-terms with the destruction wrought by that conflict. For example, Game of Thrones’ White Walkers are remarkably like the army of the dead in the climactic scene of J’accuse  (1919), a film which was directed by a French war veteran. 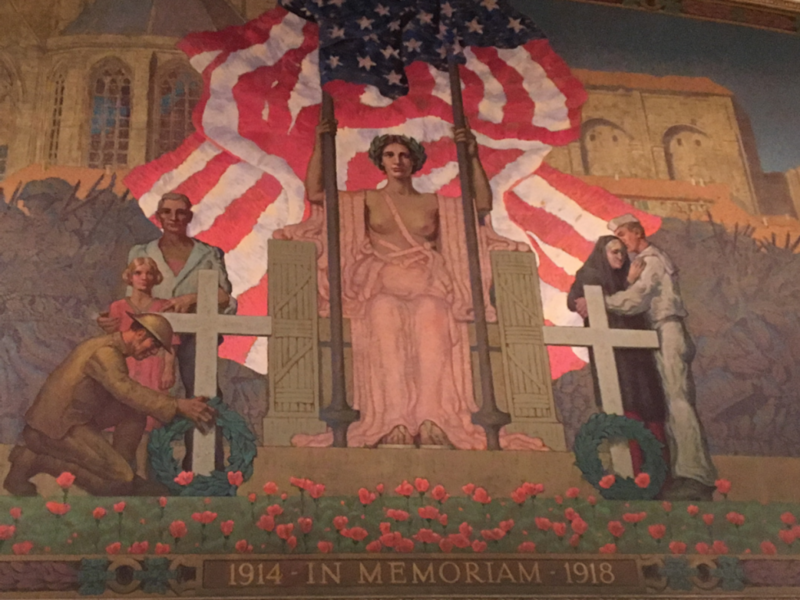 Recently, I had the opportunity to visit the National World War I Museum and Memorial  in Kansas City, Missouri. While looking at the old uniforms, machine guns, and early tanks is an entertaining way to spend an afternoon, what is more interesting is the bookstore on its main level, and the library in its basement. The pantheon of ideas that came out of The Great War is what is truly engrossing. We, today, live in the world that was crafted by these ideas. Woodrow Wilson was a deeply American man, but by no means can anyone call him a Yankee . His family was of Scottish and Protestant northern Irish ancestry, and Southern to the core. His father was a Presbyterian minister in Virginia. As a child, Wilson was touched by the fires of the US Civil War, but he didn’t fall into the nostalgic morass of the Lost Cause that etherizes so many people. He never argued that the “South was right!” or spit venom at New Englanders. Wilson had deep friendships with Jews, and appointed one to the Supreme Court of the United States – a move that would later result in the displacement of American whites. Wilson was part of the American Progressive movement, whose roots can be traced back to the Second Great Awakening , a spiritual movement derived from American Protestantism which still affects our society today. Domestically, Wilson implemented many of the ideas of this movement, such as Prohibition. Wilson was not what one would today call a religious fundamentalist, believing in the literal truth of the Bible with its dead-end crusades for Young Earth Creationism. Instead, he sought to use Jesus Christ’s ideas to improve humanity’s lot on Earth. 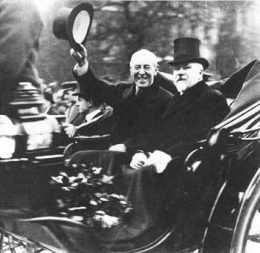 That President Wilson had a new worldview was first recognized by the British at a royal dinner in London on December 27, 1918, which was held in honor of their victory. While the rest of the guests wore medals, gold braid, and jewels, Wilson wore an ordinary black suit. His appearance, wrote historian David Reynolds, was “Cromwellian,”  and Wilson made it clear in the speech that he delivered for the occasion that he had an agenda of his own. 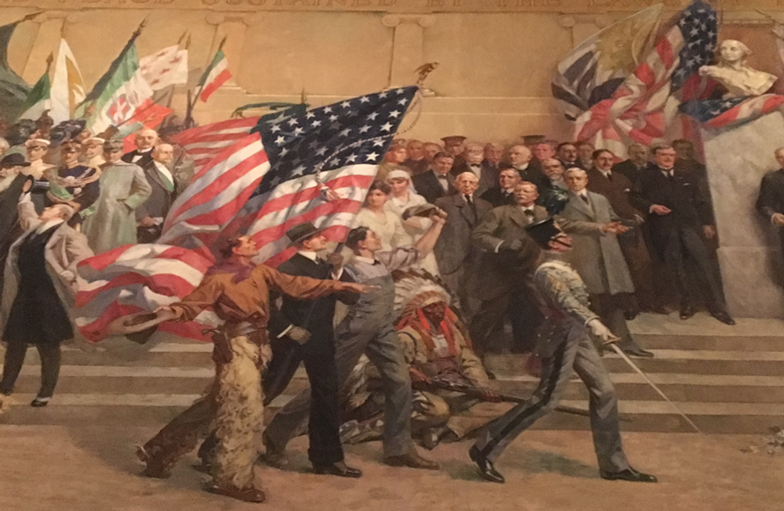 Generations of Americans have followed Wilson’s Weltanschauung, but his ideas have yet to be critically examined from the perspective of the North American New Right. 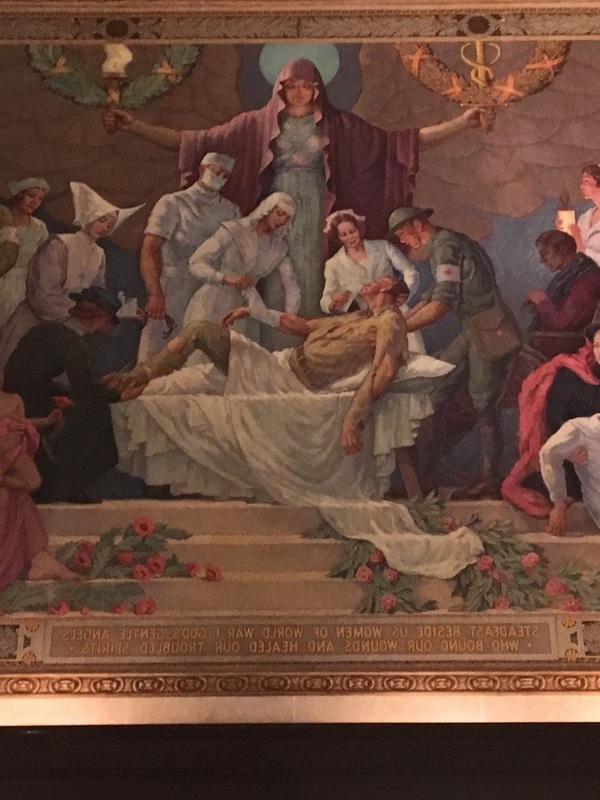 The Soldier as Christ, and the women nurses in the Medical Corps as Mary. The mourning of fallen soldiers is an important community ritual. Diverse societies cannot genuinely mourn . Ensuing military preparedness in the event of an attack from the non-white world. One researcher tells us, “In 1917, Wilson had spoken privately of the need to ‘keep the white race or part of it strong to meet the yellow race.’”  His main effort in this regard was to safeguard against Japan. From the end of the First World War until 1941, American war planners crafted a strategy to defeat Japan which included designing landing craft and organizing shipping schedules, which they were able to put into action immediately after the Pearl Harbor attack.